We’re getting stuck into learning about 1 more with this sticking activity. 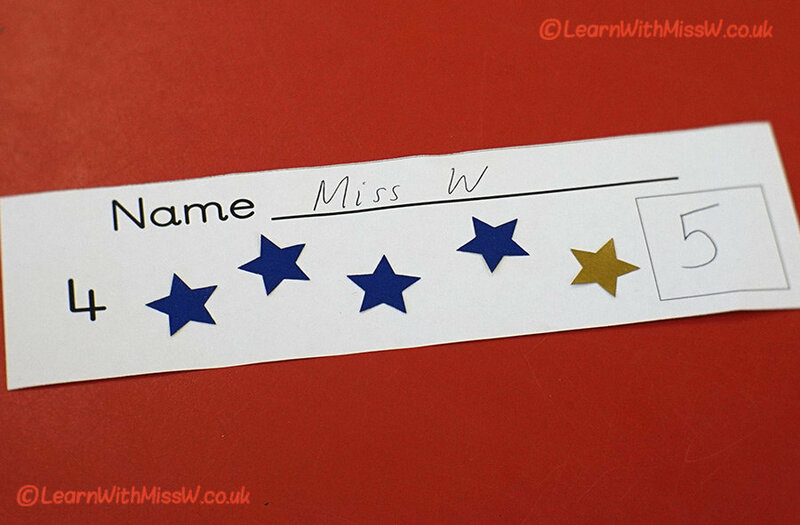 This is the 4th station for exploring 1 more and the children had a great time counting and sticking these colourful (but cheap) stars. The good thing about this activity is that, unlike the other stations, the children will be able to keep what they have made and hopefully take it home to explain what they have learned. There were different numbers to pick from, but again we were focusing on adding 1 more. In a previous post I said that we weren’t learning to write down our mathematical thinking, but in this activity I did ask the children to write down the new number.